“There are two ways to say ‘The future is now’: you can say it optimistically, like, ‘The future is now! Isn't that cool?’ Or you could be like, ‘The future is now, and we're totally screwed.’” , tracks the past and present of one of her favourite phrases. Find out more about this episode at . The all new Allusionist live show, No Title, is touring in New Zealand and Australia. Visit for information about venues, dates and tickets for shows in Auckland, Wellington, Christchurch, Sydney, Canberra, Melbourne, Adelaide, Perth and a couple more TBA Australian cities. The Allusionist's online home is . The Allusionist is a proud member of Radiotopia from PRX, a collective of the finest podcasts on the interwaves. Find them all at . In April 2019, the Allusionist is sponsored by: • for a free trial, and use the code ALLUSION to get 10% off your first purchase of a website or domain. • and get 20% off your first purchase. • , the app that teaches you a new language with confidence. If you’re in the USA, text ALLUSIONIST to 484848 to try a Babbel lesson for free. “Trust isn't a brand that you should use. It's a social glue that, when it breaks down, has really huge consequences to our lives.” Trust expert and author Rachel Botsman explains why we need to protect this word that has remained steadfast throughout its existence, but may now be too popular for its own good. Find out more about this episode at . The all new Allusionist live show, No Title, is heading to New Zealand! Tickets for Auckland, Wellington and Christchurch are on sale now; find out more at . Australia: you’ll be our next stop. The Allusionist's online home is . The Allusionist is a proud member of Radiotopia from PRX, a collective of the finest podcasts on the interwaves. Find them all at . In March 2019, the Allusionist is sponsored by: • for a free trial, and use the code ALLUSION to get 10% off your first purchase of a website or domain. • and get 20% off your first purchase. • . • , the PBS podcast featuring new conversations with contemporary artists and cultural figures, along with a mix of previously unreleased interviews from the award-winning documentary film series. 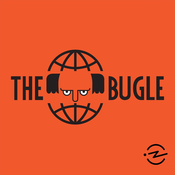 Subscribe in your podgatherer of choice. When you’re watching a fantasy or science fiction show, and the characters are speaking a language that does not exist in this world but sounds like it could - that doesn’t happen by accident, or improvisation. A lot - a LOT! 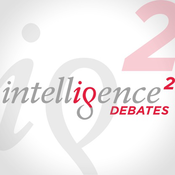 - of work goes into inventing new languages that sound real. Conlanger David Peterson talks about how he created languages for HBO’s Game of Thrones. Find out more about this episode at . The Allusionist's online home is . 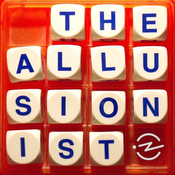 The Allusionist is a proud member of Radiotopia from PRX, a collective of the finest podcasts on the interwaves. Find them all at . In March 2019, the Allusionist is sponsored by: • for a free trial, and use the code ALLUSION to get 10% off your first purchase of a website or domain. • or download the Babbel app. • . • . On 15 November 1992, the New York Times printed a ‘ ’, a list of slang terms from the Seattle music scene. ‘Harsh realm’ = bummer. ‘Wack slacks’ = old ripped jeans. ‘Swingin’ on the flippity-flop’ = hanging out. Not familiar with any of these? It’s OK, that’s not because you’re a cob nobbler (= loser). They were all made up. By Megan Jasper. Now the CEO of records, she recounts her linguistic prank. Find out more about this episode at . NB there are a few swears in this episode. The Allusionist's online home is . The Allusionist is a proud member of Radiotopia from PRX, a collective of the finest podcasts on the interwaves. Find them all at . In February 2019, the Allusionist is sponsored by: • for a free trial, and use the code ALLUSION to get 10% off your first purchase of a website or domain. • or download the Babbel app. • . ‘Idle’, ‘trivial’, ‘scurrilous’: the word ‘gossip’ is often accompanied by uncomplimentary adjectives. But don’t dismiss it; from childbirth to Hollywood to political analysis to whisper networks, gossip may be more useful and serious than you realise. Lainey Lui, founder of laineygossip.com, and Buzzfeed News’ senior culture writer (and doctor of celebrity gossip) Anne Helen Petersen explain why. Find out more about this episode at . NB there are a few swears in this episode. The Allusionist's online home is . The Allusionist is a proud member of Radiotopia from PRX, a collective of the finest podcasts on the interwaves. Find them all at . In February 2019, the Allusionist is sponsored by: • for a free trial, and use the code ALLUSION to get 10% off your first purchase of a website or domain. • or download the Babbel app. • .